Huston Smith met Aldous Huxley very early in his career. Huxley served as a mentor for Smith, who is still very fond of the generous, charismatic, and gentle man he’s often described. In the mid-1950s, Aldous Huxley delivered these two lectures at the Hollywood Vedanta Temple. The lectures, as well as the Q&A session which followed Who Are We, were recorded and preserved by the Vedanta Archives and are offered as separate CD recordings (in conjunction with Vedanta Press) with the Q&A session divided between the two. Who Are We? cover drawing of Aldous Huxley courtesy of Don Bachardy. Elda Hartley invites you to travel the globe and view through her camera lens the endlessly varied and vibrant pastiche of religious rituals practiced throughout the world. During the 1970s and 80s, this award-winning filmmaker created documentaries on a number of the world’s great religions that will open your eyes to the extraordinary differences and the striking similarities among individuals of different faiths. JEFFERY PAINE worked with Huston Smith on the writing of his memoir, Tales of Wonder: Adventures Chasing the Divine and is currently working on the soon-to-be-released Huston Smith Reader. 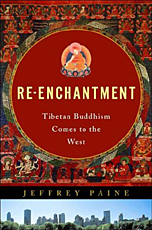 Two of his earlier works, Re-enchantment (a Publisher’s Weekly Book of the Year) and Father India, demonstrate the philosophical breadth, and writing skill, as well as the hard won insights of a practitioner, that made Paine the perfect choice for the assignment. DANA SAWYER is currently working on the authorized biography of Huston Smith. Sawyer’s last book, a biography of Aldous Huxley, is one of the few Huxley biographies that take Huxley’s spiritual quest seriously. 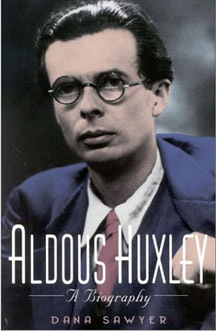 We find the book an indispensible contribution to the full appreciation of Huxley and his legacy. INTERPRETING RAMAKRISHNA by Swami Tyagananda & Pravrajika Vrajaprana, foreword by Huston Smith deals with the distortions that can, and do, take place when Eastern philosophy is evaluated through the prism of Western culture. Read Huston Smith’s foreword online. Interpreting Ramakrishna is a substantial and conscientious work of scholarly and religious reflection, the best resource we have for understanding Sri Ramakrishna today. Instigated by recent debates about Ramakrishna’s identity and significance, the book fruitfully invites us to step back and take a much longer perspective, noticing a century’s worth of Ramakrishna scholarship by devotees, monastic writers, and academic scholars. But the book also looks forward to how we — with all our varied interests and perspectives — can most fruitfully reflect on Ramakrishna in the 21st century. We can only thank Swami Tyagananda and Pravrajika Vrajaprana for showing us how to remember, think clearly, and write constructively about Ramakrishna, with an honesty that is critical, unpresuming, and in fact deeply spiritual.